they and everything in them are mine. Walking along the beach, I am struck many times by the magnificence of the patterns in the sand created by the tide. As the water approaches and then recedes, it forms a mathematical pattern of its own atop the sculpted sand. Contemplating its beauty and perfection, I am drawn to watch its continuous rhythm. God has made Heaven and Earth. He made the water and commanded it to create waves. He made the sand and commanded it to rest in patterns. 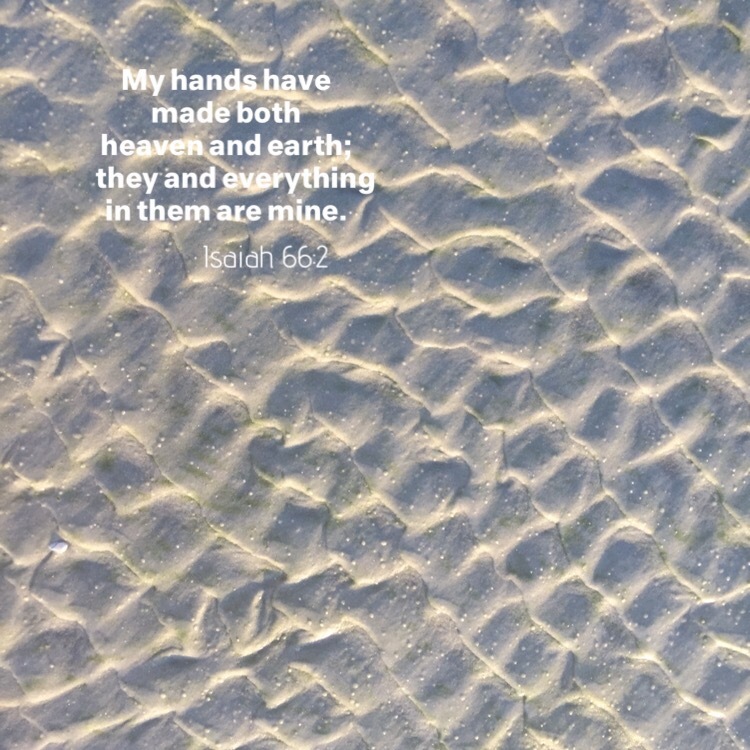 This entry was posted in Bible verses on photos, God's works, Inspirational photography and tagged ocean, patterns, sand, waves.